I’ve been working on a new zombie story. 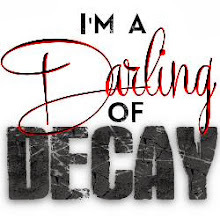 It’s for the imprint of Booktrope I belong to, Forsaken, and it will be an ePenny Dreadful. If you don’t know what a Penny Dreadful is, it’s a short, cheap story—cheap in price, not content. This one will be electronic, shorter than 100 pages, and probably 99 cents—I’m not exactly sure of the price. I actually started this story back in 2010 but never finished it. When I found it a few weeks ago on my thumb drive, I read through it and thought, Hey! This isn’t that bad. I can work with this. So I started edits. It’s not terrible, but it’s not stellar either. I feel meh about the story. I can make it work, though. It’s just going to take a little time. I’m always the worst critic of my work, but I seriously hope it turns out all right. I think my biggest problem with it is that it’s so short. I stopped writing short stories and novellas a while ago because I didn’t like being constrained by length. I want to be able to take as long as I need to develop my characters and tell my story. But I’m viewing this as a challenge. On an amused note, it was fun to see how things had changed over the last 5 years. When I was writing this story, we still had flip phones, and they make an appearance in the text. I was chuckling as I read this. Flip phones! I can’t even remember the last time I owned a flip phone. Probably 2010. I know, I know. There are people in the world who still own these. I have a few in my family. But every time they pull them out, I have to refrain from laughing. Remember trying to text on those things? It was the most painful process ever! You had to hit the keys multiple times to get the letter you wanted, and you had to hope you didn’t hit it one too many times! My, we have come such a long way. Although, I have to say that I miss my phone with the QWERTY board. I was so fast on that thing. Took me no time at all to send a text. At first I thought I would take the flip phones out because they date the story, but then I left them in—because they date the story! They may seem silly to us now, but back then, it was completely normal. I don’t have a title for the story yet, and I dread coming up with one. Titles are such a source of stress for me. Maybe I should just call it Bane of My Existence. It's Available! Now Live on Kindle! Baby Shoes: 100 Stories by 100 Authors - includes my story, "Second Chances"
The strange flu came from nowhere. The news blared the rising death tolls hour by hour. Then came the panic and looting, especially once the real disaster became clear—the dead didn’t stay dead. Lucky for me, being the “crazy hoarder” in the rundown house on the hill has some advantages: the zombies have easy pickings of the panicked citizens below, and I have a house full of goods. With everything I could need on hand from ointments and paper goods, to baby items, and all kinds of food, along with my rain barrels and homemade solar panels, I almost never have to leave home. There are plenty of good reasons for writers to attend conferences – education, networking. But my favorite reason is the crazy synergy that only happens when writers get together and that only writers may fully understand. Case in point: Cows with laser beams. It all started when my roommate at the Catholic Writers’ Conference Live mentioned cutting out a scene in a novel she was editing because “it was just looking at cows.” We agreed that if there had to be cows in a story, they had better be doing something interesting. 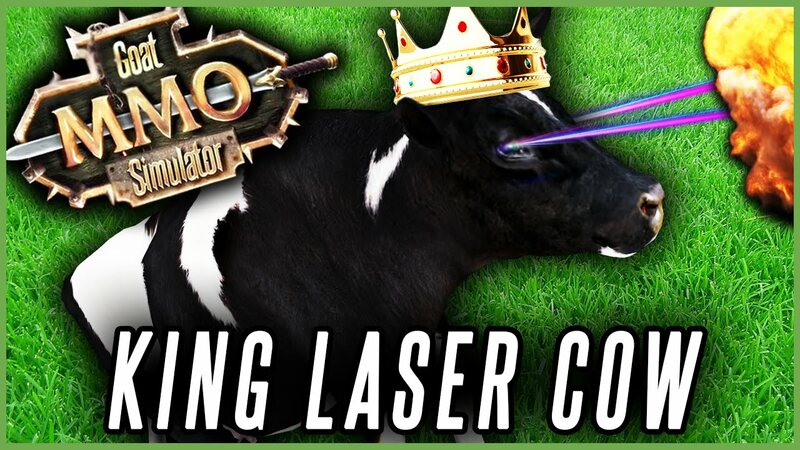 I fell asleep thinking about cows, and woke up with a vision: Cows with frickin’ laser beams on their heads. As a matter of fact, I am going to write this. As a Gapman episode in the DragonEye world. Thanks for asking. But it gets better. I had a lecture the next morning, so how could I resist? I added laser cows, and in my research found that it’s been done! Since the lecture was idea generation, it was the perfect illustration that there are no new ideas, just new takes on the same ideas. In fact, laser beam cows worked their way into other lectures and casual conversation. The cliché of writing is that it’s a solitary activity, and it is true that writers need concentrated alone time to get their words on paper, but that’s only a part of the writing process. We also thrive on interaction and support, whether it’s for a serious topic that needs fleshing out, a critique that helps us see what to cut from a scene to get the right focus of emotion, or the crazy brainstorming that results in laser beam cows. Feeling crafty? How about making a clay zombie? Saw this and just had to share! Well done and just think of the possibilities! Every so often, something happens that reminds me why we have zombie movies. One of the things I really like about zombie movies is how they make us question our humanity. There’s an us vs. them aspect, and that line between zombies and humans is really thin. Most films show humans acting just as deplorable as the zombies. They deceive and kill almost as relentlessly as the zombies devour. The only difference between the two groups is that the motives of the zombies are known: they just want to eat. It seems like the news stories lately are all about humans attacking humans because they are different or don’t believe the same things. I can’t help but think of zombie films and the selfishness and depravity that exist within both the humans and the zombies. Zombies are only concerned with one thing: feeding. They are focused and determined to make sure that basic need is fulfilled, to whatever end. They will climb over their own kind to consume a human, they will injure themselves in the pursuit. There isn’t much that stops a zombie when they have a victim in their sights. Zombies may be aware of other zombies around them, but they don’t work together. They may all be going after the same target, but they don’t incorporate teamwork to achieve their goals. Learning how to work together is what most characters in zombie movies have to do to survive. This, of course, happens only after the world has come to the brink of destruction, and they often fail at the task. I always attempt to think the best of my fellow human beings, but every so often, when seeing news stories like these, it’s really hard. I see where ideas for zombie films come from. Humans have a hard time getting along with one another, especially when they have differing viewpoints. They become monsters and attack the person who thinks differently than they do. There’s no room for understanding, no way to change the person’s mind. They become focused, relentless, and they won’t stop until their victim has been subdued. Just because we aren’t eating each other at the moment doesn’t mean we aren’t tearing each other down. What's a part-#zombie to eat? 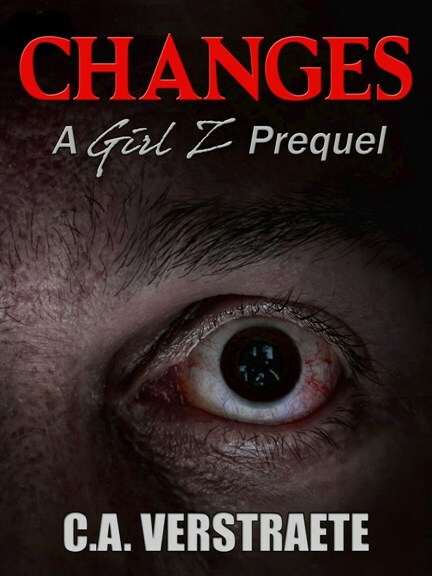 Life changed for 16-year-old Becca (from Girl Z: My Life As A Teenage Zombie ) in more ways than one when her cousin, Spence, came home with an unwanted "surprise" - he was turning into a zombie. Sadly, Becca became infected via an accidental scratch. Now as a "part-zombie," she's had to cope with all kinds of changes - physical, mental, and yes, even taste-wise. And no, she doesn't eat "that." 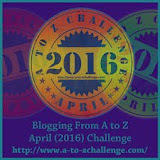 Meaning no brains or human flesh on the menu; only the full-Zs, those overtaken by the infection, attack others. If Becca had to pick any one thing, okay two things to eat, it would be the dishes made by her Tia (Aunt) Imelda--homemade tamales and spicy enchiladas. But being a part-zombie means even your tastebuds change. Her food choices now are pretty limited and adapted to her specific dietary needs, so lots of proteins and ground protein powders. Luckily, she can even taste something like raspberry or lemon once in a while. The tangy smell of tomatoes and the spicy scent of Mexican food cooking made my mouth water. I admit it. I'm not a meat-and-potatoes kind of girl. Never have been. Give me tamales and enchiladas anytime, and lots and lots of cheese. Okay, so maybe it's not so good for my waist, but Mmm, it sure tastes good going down. The smell jolted me out of my short nap. I wandered downstairs, still in a kind of fog and rubbed my eye. "Tia, when will the tamales be done?" I quit rubbing my eye and stared at her, the shocked expression on her face snapping me back to reality. My heart sank as I tried to apologize. "Ohhh, Tia, perdóname. The dream... it was so real. I almost thought--" I began to make those horrible gulping sounds that passed for crying these days. I felt my aunt's arms around me. I buried my head in her chest, taking in the scent of her Gardenia perfume, remembering when I was little and did this, wishing I was a kid again with no problems. "There, there, it's all right, honey." Tia said. "Honey, don't worry, it'll be all right." I gave a weak nod even if I didn't agree with her. What was all right about being the way I was now? Okay, cue the big pity party. Most days, I make the best of it, even if I can no longer eat the things I loved. Tried that. It didn't turn out well. My other menu is rather bland, boring, even if I can't really taste it most of the time. It's actually pretty disgusting when you think about it, so I don't. My aunt, though, is a whiz in the kitchen. She's helped me a lot by making me stuff I do like, and wow! I can even taste it sometimes. I really like the protein shakes and been drinking lots of those. But it's in times like this when I manage to drop into a half-hour or so nap that it really hurts. I don't sleep much anymore, in fact hardly at all, so when I do, I sleep---yeah, like the dead. When I get up, I'm pretty confused. It doesn't help when I have such a real dream that I can even smell the food cooking. Except it's mid-afternoon and I've been napping like some old lady. Sigh. And this time, Tia really does have my favorite meals cooking for dinner later. I gave another big sigh. At least I can smell them. Before her "change," one of Becca's favorite meals was a kind of tamale casserole - tamales smothered with cheese and salsa, make that lots of cheese! ***She also loves enchiladas for pretty much the same reason - spices and cheese. *** 8/26 - On Sale! Marked down half for at least next 12 hours! As I stood on my roof, rifle in hand, and watched people fleeing and trying to fight off the ghoulish hordes, something hit me. The fate of the adults didn’t matter. Heartless it might sound, but I knew it was them or me. But what about the truly helpless and defenseless? I didn't want to go out, but I couldn’t stop thinking about the day care center in town. I had to find out what had happened there. I headed inside and threw some supplies into my backpack, my eyes drawn to the old box of baby clothes on the shelf. This time, instead of making me mourn my own loss, it filled me with purpose. The back roads remained empty, most of the action centered along the main streets where people frantically tried to escape the encroaching undead. My ancient but reliable van putted up and around the hills, my luck holding as I encountered only a few ghouls wandering here and there. They turned and moaned at sight of my vehicle, then shambled after it at a snail's pace. I let them be, not wanting to draw others with the sound of gunfire. To my relief, the downtown appeared pretty deserted as well, due to most people having been at work or home sick with the flu. The worst part is that many died at home, alone and forgotten, until they emerged undead. A little writing inspiration I came across from award-winning author Neil Gaiman at Authors Publish - go check out all 10 motivating quotes! Great stuff! 1 Right Crime Fiction ezine by mystery writer BJ Bourg is open to mystery/suspense/crime, etc. flash fiction (500-750 words.) Deadline: July 31. Pays $10. 2 The Shadow People Anthology by fellow writer Courtney Mroch is looking to fill slots for 13 stories (a lot of publication on this one). Looking for stories about ghosts or haunted objects of different genres. Pays $50 plus 10 print copies. Deadline: July 31. 3 Apex Publications (also publishes Apex Magazine) is open to Sci Fi, Fantasy, Horror novellas (30-40,000 words) and novels up to 120,000 words. Open to July 31. Send whole manuscript with cover letter. Check link for guidelines. 5 I also found: The Campfire Quarterly launches in January 2016. Accepting stories 1,500 words and up year-round. Horror. 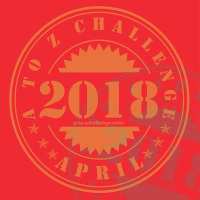 * Check out the All Things Zombie group on Facebook which has ongoing openings for its next fiction anthology if you're a member. * Find more ongoing fiction openings at Horror Tree. com. I just rented the zombie movie Maggie with Arnold Schwarzenegger, and I was pleasantly surprised. This proved to be a different kind of movie - thoughtful, moving, well acted, with an ending different than you expect. The movie centers on Arnold as the father, dealing with his daughter (Abigail Breslin), who's become infected with a virus that will transform her into a mindless, flesh-eating monster who will attack during a process called "the turn." The infected are picked up and dealt with (exterminated) at quarantine centers once they go from human to having heightened senses of smell and smelling people around them as "food." There are only a couple zombies shown in the movie and a few rapid flashbacks, so this is not a movie for those who like a lot of zombies or action. This is more a contemplative kind of film -- atmospheric, relying a lot on close shots and pretty scenery, presenting "mood" enhanced with a music score. It is slower paced, but if you want to watch a more thoughtful kind of movie you won't find it overly slow. I enjoyed the film's presentation, look and story line. It presented a few moments showing the daughter Maggie as a teenager, while showing her facing an awful fate many adults wouldn't know how to cope with. There is little dialogue or small bits, but it fit the movie, letting the relationship, and events, unfold without a lot of talking. 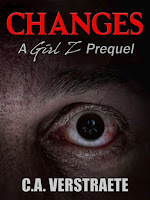 Toward the end, there are some heart-wrenching, and heart-pounding moments, as Maggie nears her transformation, while showing the relationship between the father and daughter. I really enjoyed it. Definitely worth watching and shows a softer side to an actor usually presented as just an action hero-type. I recommend it and would watch it again. Recently, I was contacting sites to let them know about one of my books going on sale for $0.99. Because of this, I got put onto a mailing list so I get emails full of books that are one sale or free. While perusing the listings, a couple of them caught my eye, one of which was After the Cure by Deirdre Gould. The description made it sound fascinating, so I decided to give it a try. I haven't had a chance to read it yet, but soon. 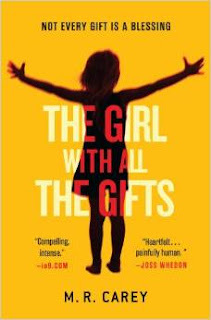 I have to finish another book that was recommended to me: The Girl with All the Gifts by M.R. Carey. I'm really digging this one. 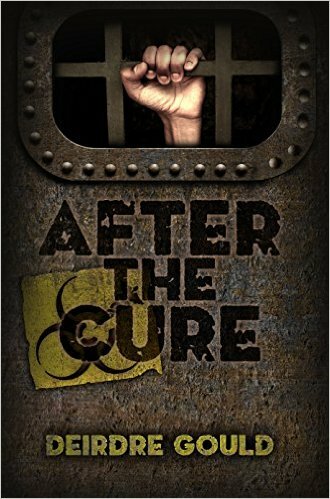 It's a zombie book with a twist. 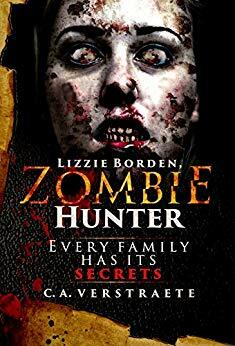 Have you read any fantastic zombie books lately? 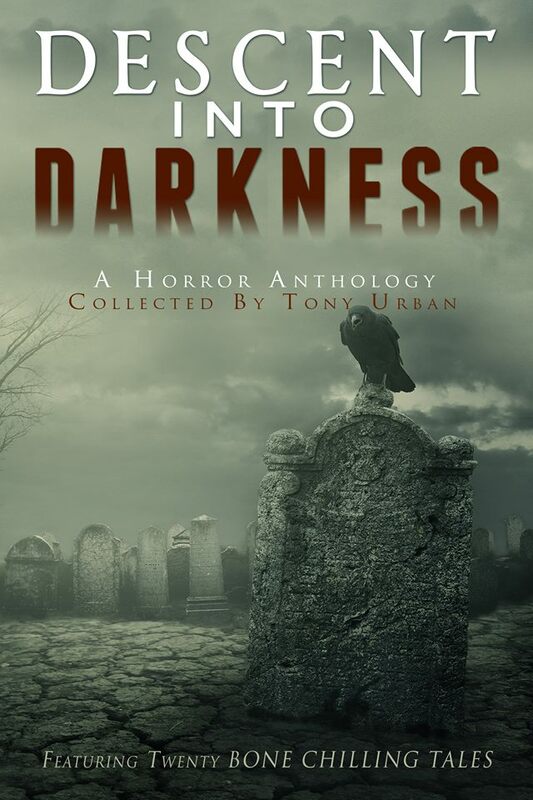 New #Zombie Story in Baby Shoes Anthology! 100 flash stories under 1,000 words by 100 authors! 360 pages! Of course, it has a "sweet" zombie story, too! You know I had to! A couple weekends ago, I had the opportunity to watch Maggie. I’ve been wanting to see this movie since I first saw the trailer. 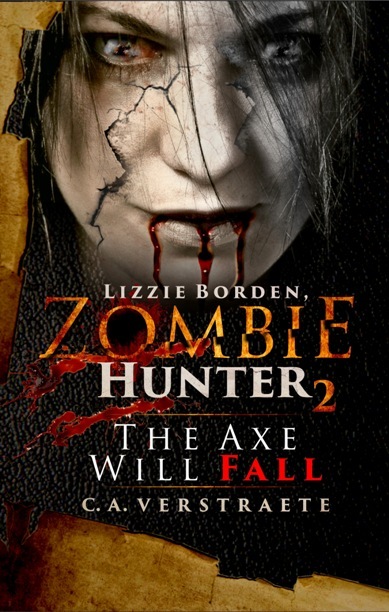 I knew it wasn’t going to be your typical zombie flick. I figured there probably wasn’t going to be a lot of gory action, and there wasn’t. But it was a great film nonetheless. One of the things zombie films do is highlight is the difference between us and them—or zombies and humans. There’s a thin line between what makes us human and what makes us a monster. In most zombie films, the focus is on how we act just as monstrous as the zombies. That wasn’t the case in Maggie. I don’t want to delve too deeply in the plot for fear of giving the movie away. If you haven’t seen it and plan to, I don’t want to ruin it for you. I highly recommend this movie. Again, there isn’t a lot of gory action, and the story actually moves pretty slowly—and not in the shambling zombie way. I would watch this movie again, and I may to critique it. Has anyone else seen this? What did they think?